HEMPSTEAD STOPPED AT HEMPSTEAD CROSSING STATION AT STEWART AVENUE. 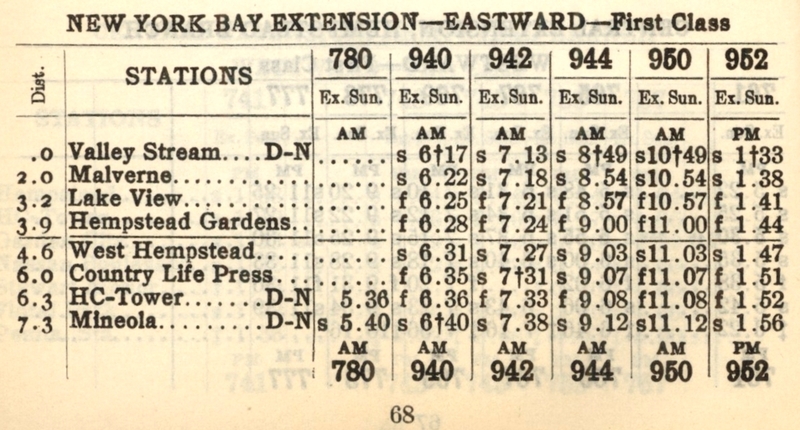 FROM AN 1897 EMPLOYE TIME TABLE. FROM A 1973 LETTER FROM FELIX REIFSCHNEIDER. 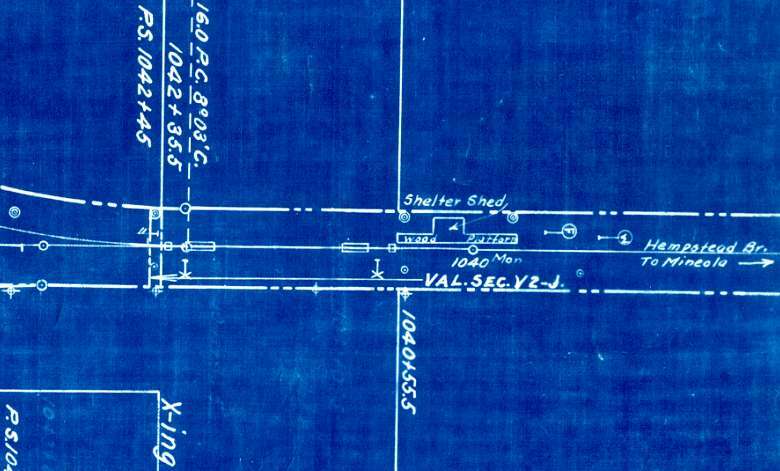 1916 BLUEPRINT SHOWS STEWART AVENUE STATION NORTHWEST OF THE CROSSING. 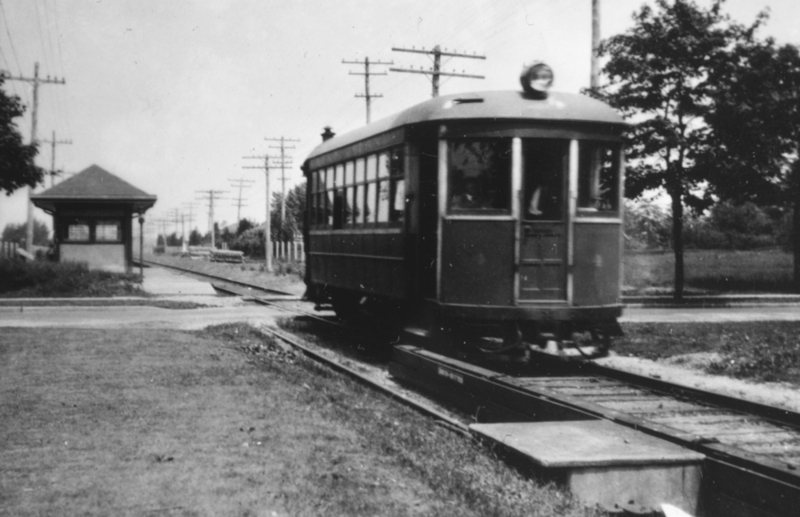 BC NUMBER FOUR LEAVING THE HEMPSTEAD CROSSING STEWART AVENUE STATION - THANKS BILL! 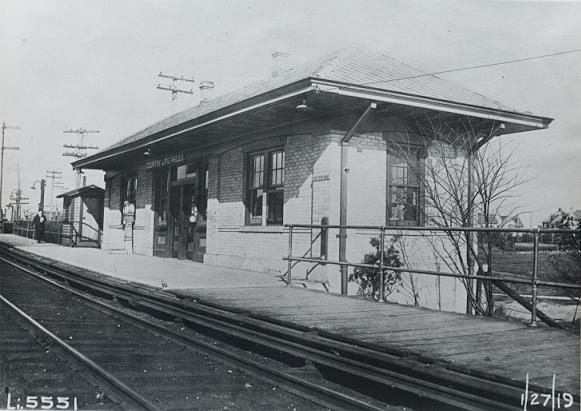 AND STEWART AVENUE STATION WAS ABANDONED. 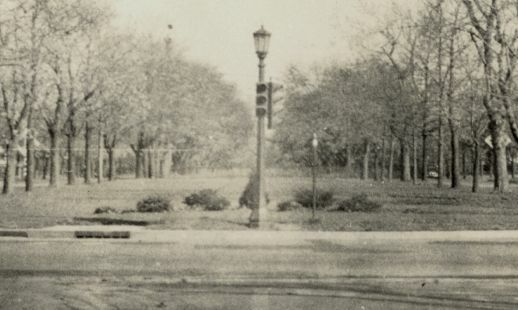 HENRY WILHELM SHOWED THE LOCATION IN 1923. 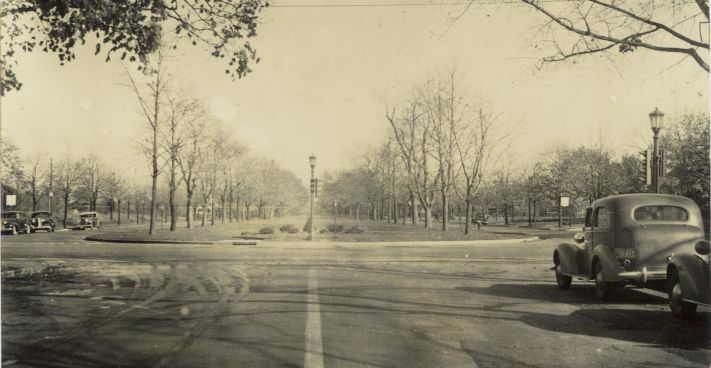 DOUBLEDAY, PAGE & COMPANY PLATFORM AT FRANKLIN STREET. 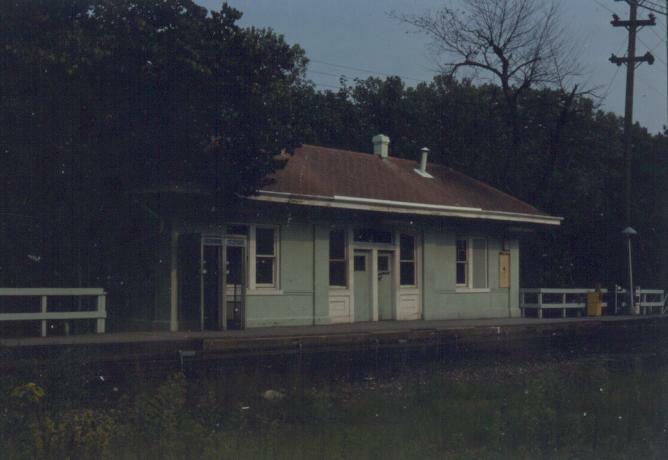 DOUBLEDAY'S PLATFORM. NEW YORK BAY EXTENSION TRAINS STOPPED AT HC TOWER. 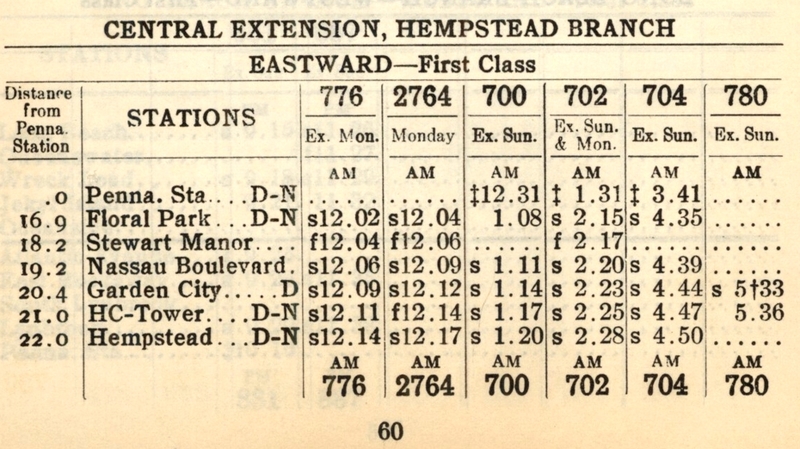 COUNTRY LIFE PRESS IS LISTED FOR THE FIRST TIME IN TIME TABLE NUMBER 69 - MAY 25, 1913. 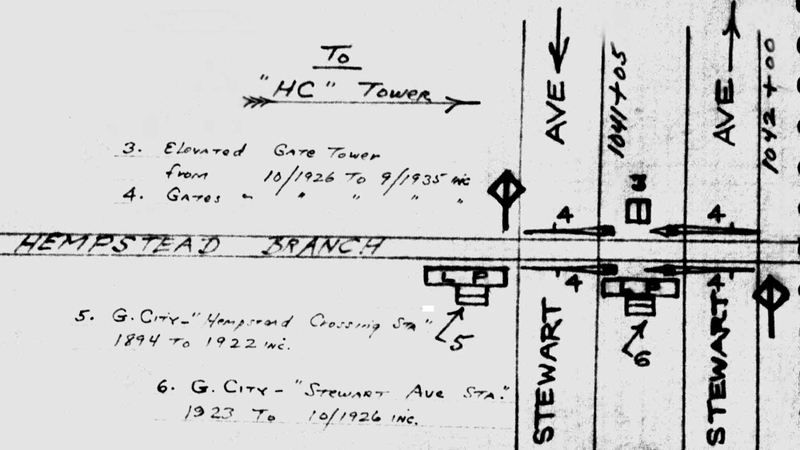 NEW YORK BAY EXTENSION TRAINS STOPPED THERE AND AT HC TOWER STATION AT STEWART AVENUE. 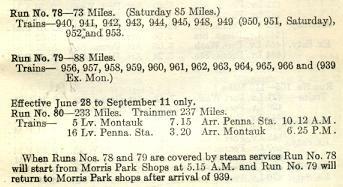 FROM TIME TABLE NUMBER 88 - OCTOBER 18, 1918. 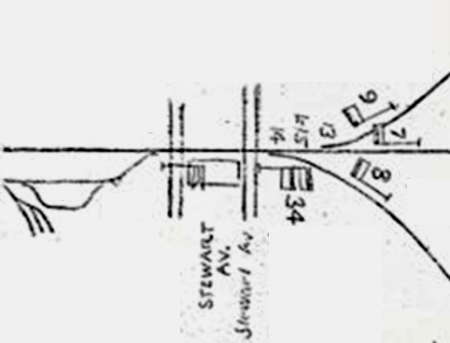 THE LAST RUN SHEET AND SCHEDULES OF THE BATTERY CARS AND THE LAST USE OF STEWART AVENUE STATION. 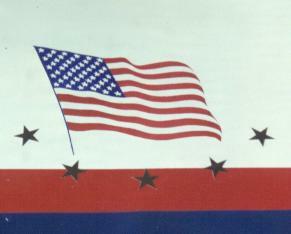 THROUGH M.U. 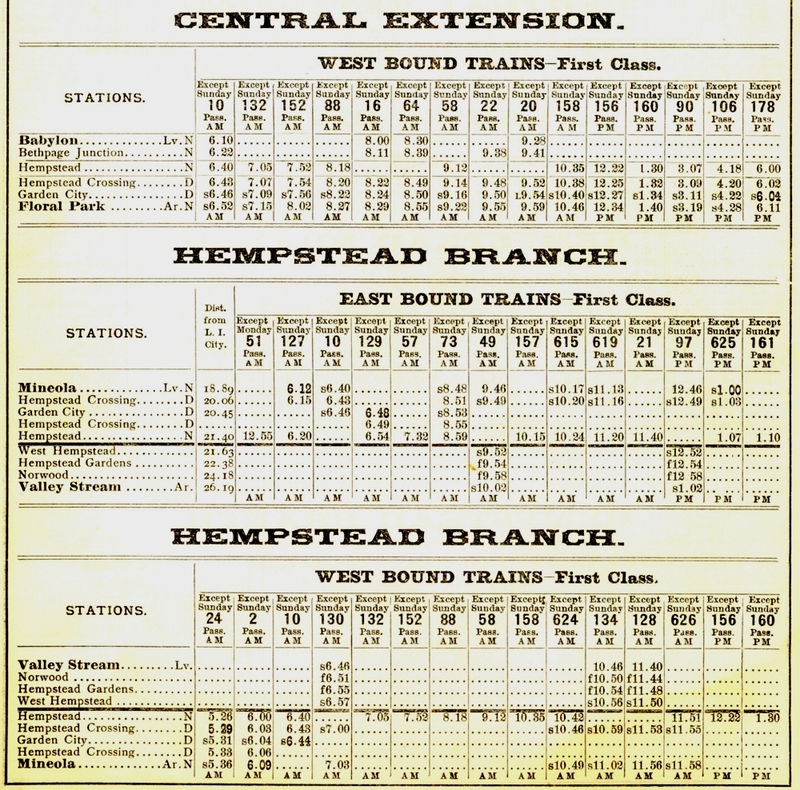 SERVICE AND THE NEW YORK BAY EXTENSION RENAMED THE WEST HEMPSTEAD BRANCH. AND RETURNED AT 5:22PM TO PENN STATION AS NUMBER 959.